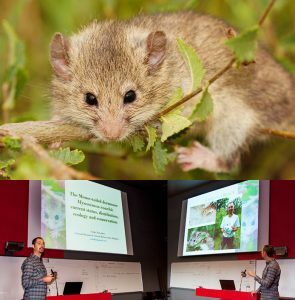 Nedko Nedyalkov presents findings of Roach’s mouse-tailed dormouse at the International Dormouse Conference in Liege, Belgium, 2017 (Photographs: Nedko Nedyalkov & Dennis Wansink). Thanks to several private donations and a grant of the organizing committee, Nedko Nedyalkov could present his findings about the extremely rare Roach’s mouse-tailed dormouse (Myomimus roachi) at the 10th International Dormice Conference in Liege, Belgium. We hereby thank the generous donors. conference, dormouse, Myomimus roachi. Bookmark.